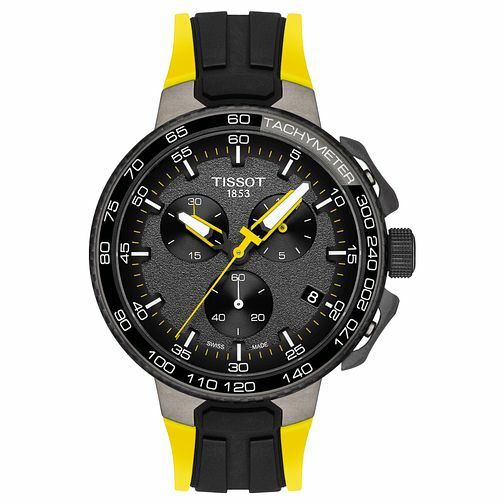 Tissot is the official time-keeper of Tour de France 2017 and they are celebrating with this limited edition watch. Designed with a stainless steel case with grey and black PVD coating with carbon composite and a black dial with Arabic numerals with a date window at 4 o'clock. The strap is yellow and black silicon with a standard buckle. this timepiece is also water resistant to 100m.